Picked by our most discerning customers, enjoy a mixed case (six bottles) of our favorite clear juice flavors. Each case makes 24 gallons. 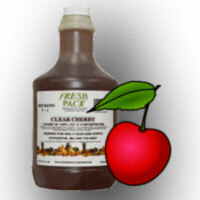 Concentrated 100% Juice creating 4 gallons from just one bottle! 100% Natural, and economical, it's the perfect juice for your day care.